We can personalise the first page with the bridal couples names and the date of the wedding and a poem/verse/message etc, please see personalisation for cost. You can choose from light brown or dark brown wood finish. A matching storage box is included. 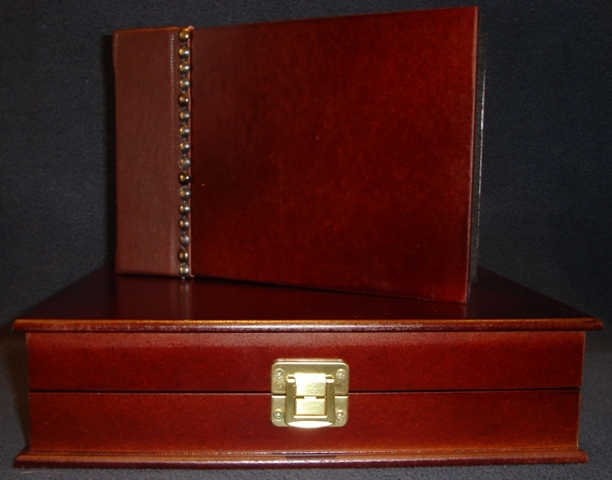 The guest book fits snugly into the box which is lined, and closes with a gold metal fastner.